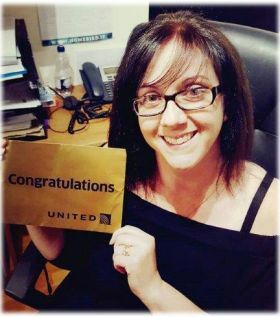 Anna Naughton (Bookabed) was the winner of a recent in-house United Airlines booking incentive. Anna won a fabulous voucher for the award winning restaurant One Pico. Now Anna you do know that one Pico is a Travelbiz Favourite so one of the team would be more than happy to join you.